Turn on your glow! Strobelight Instant Glow Powder makes strobing and highlighting easy for beauty novices to experts alike. Light-reflecting pearls create a radiant finish that define your features with a healthy, warm glow. Available in a range of shades to flatter every complexion. Additional Information : At Milani Cosmetics, the creativity and inspiration is taken from the lush streets of Milan – the fashion, the art, the history, the culture – finds its way into everything the brand makes for the woman who loves color.This cruelty-free brand allows women to explore and push their boundaries. Milani’s easy to use, high-end products, trend-setting and timeless colors are designed for you, our customer with unique needs. Explore the entire range of Highlighters available on Nykaa. 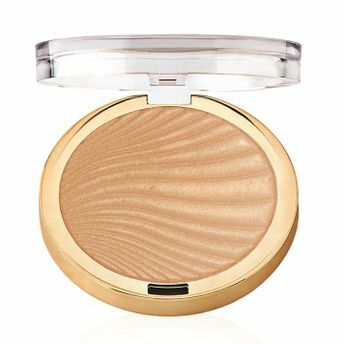 Shop more Milani products here.You can browse through the complete world of Milani Highlighters .Alternatively, you can also find many more products from the Milani Strobelight Instant Glow Powder range.